You know how you all passed on every single one of Samsung’s previous smartwatch attempts because they required you to own a top tier Galaxy smartphone? OK, that’s not why you passed. You passed because they were garbage. But, let’s say they weren’t garbage – you probably would have passed on them because you may not have owned a Galaxy smartphone. That stupid requirement from Samsung is about to change with their new watch, the Gear S2. Samsung has seen the open light and is making this watch (and the Gear S2 Classic) available to all Android devices upon launch (at least 1.5GB RAM and Android 4.4). We still don’t know exactly when it will launch (some time in October) or for how much, but when it does, your Nexus, Moto, LG, or other Android device will be able to pair with them, just like you do any other Bluetooth device. Samsung told us that the experience may vary slightly from phone to phone, but that you should expect most of the experience you would get had you paired with a Galaxy phone. Well, you won’t get the NFC-mobile-payment side of it, because that’s a Samsung Pay exclusive, which is also an exclusive to select Galaxy devices at this time. Other than that, it should be a fully capable smartwatch experience with 2-3 day battery life and a sleek design. 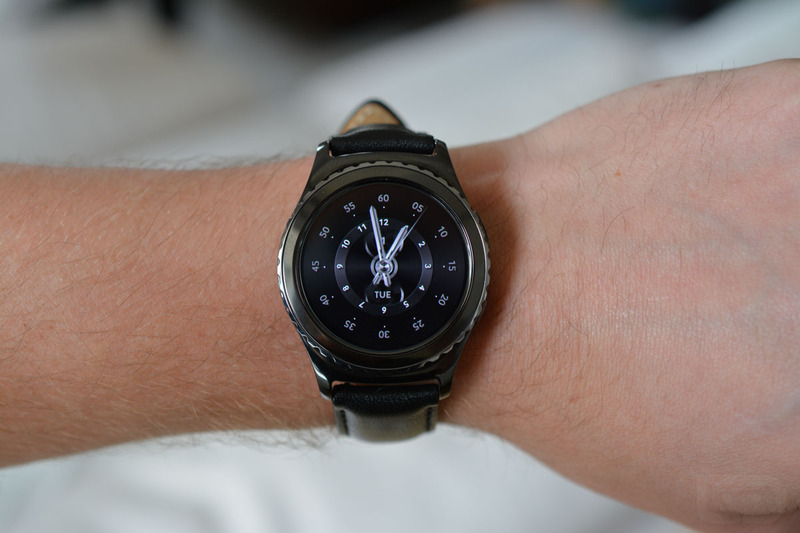 This news change any of your opinions on the Gear S2? Maybe our hands-on with it will.